Northbrook, Ill. – (RealEstateRama) — A slightly lower inventory of houses on the market has helped sellers see prices rise in many North Shore and Barrington-area communities. Homes are selling faster now than in the last few years and buyers are finding they need to move fast to get the home they want. Year-to-date housing data for 2016 showed strong growth for new listings (+6.2 percent), closed sales (+1.3 percent) and homes under contract (+4.8 percent) in spite of July 2016 numbers having indicated a modest decline for new listings (-5.3 percent) and closed sales (-4.1 percent) for the same period in 2015, according to the North Shore – Barrington Association of REALTORS® (NSBAR). Current data for 2016 shows an overall increase in the median and average sale price and the average list price. The median sales price rose 3.0 percent in July, up to $453,000, compared to $440,000 during the same period in July 2015. The average listing price rose to 10.8 percent, and the original list price slightly increased to 94.4 percent from last year’s 93.9 percent. The inventory of homes in the North Shore and Barrington-area slightly decreased by 0.4 percent in July, compared to a year ago — from 4,270 to 4,251. The months’ supply of homes for sale fell from 6.9 months in July 2015 to 6.6 months in July 2016. – Year-to-date, 3,035 detached single-family homes sold in the North Shore and Barrington markets. Compared to July 2015, the number of communities in the region reflecting an increase in the number of home sales for July was nearly triple those reporting a decrease. The median sales price decreased in slightly more than half of the communities. Communities reporting an increase (or no change) in the number of sales compared to July 2015 include Barrington, Deerfield, Evanston, Glencoe, Golf-Glenview, Highland Park, Highwood, Kenilworth, Lincolnshire, Northbrook, Northfield, Prairie View, Skokie, Wilmette and Winnetka. – Barrington-area – 352 detached single-family homes sold year-to-date, up 1.7 percent compared to 346 detached single-family homes sold in July 2015. The median sale price in July 2016 was $490,000, down 1.4 percent compared to $497,000 a year ago. – Deerfield – 175 detached single-family homes sold year-to-date, up 3.6 percent compared to 169 detached single-family homes sold in July 2015. The median sales price in July 2016 was $529,000, down 2.0 percent compared to $540,000 a year ago. – Evanston – 297 detached single-family homes sold year-to-date, down one percent compared to 294 detached single-family homes sold in July 2015. The median sale price in July 2016 was $530,000, up 5.6 percent compared to $502,000 a year ago. – Golf-Glenview – 314 detached single-family homes sold year-to-date, up 6.1 percent compared to 296 detached single-family homes sold in July 2015. The median sale price in July 2016 was $523,000, down 9.8 percent compared to $580,000 a year ago. The municipalities of Golf and Glenview are combined for statistical purposes. – Lake Forest – 150 detached single-family homes sold year-to-date, down two percent compared to 153 detached single-family homes sold in July 2015. The median sale price in July 2016 was $787,500, up 1.6 percent compared to $775,000 a year ago. – Northbrook – 270 detached single-family homes sold year-to-date, up 9.3 percent compared to 247 detached single-family homes sold in July 2015. The median sale price in July 2016 was $547,500, down one-half percent compared to $550,000 a year ago. – Skokie – 311 detached single-family homes sold year-to-date, up 12.3 percent compared to 277 detached single-family homes sold in July 2015. The median sale price in July 2016 was $321,000, up 14.6 percent compared to $280,000 a year ago. – Winnetka – 144 detached single-family homes sold year-to-date, up 4.3 percent compared to 138 detached single-family homes sold in July 2015. The median sale price in July 2016 was $1,212,500, down 3.7 percent compared to $1,259,250 a year ago. Sales and price information is generated by NSBAR with Midwest Real Estate Data (MRED); MRED is the area’s multiple listing service. The North Shore-Barrington Association of Realtors® (NSBAR) represents more than 3,500 practitioners in residential and commercial real estate. Since 1919, it has been the area’s leading advocate for private property rights and a healthy real estate environment. 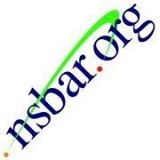 Visit NSBAR online at www.NSBAR.org. Based on Census Tract data, MRED defines the North Shore as including Bannockburn, Deerfield, Evanston, Glencoe, Glenview, Golf, Highland Park, Highwood, Kenilworth, Lake Bluff, Lake Forest, Lincolnshire, Lincolnwood, Mettawa, Morton Grove, Northbrook, Northfield, Prairie View, Riverwoods, Skokie, Wilmette and Winnetka.